With the support of our talented team of professionals, we are engaged in providing Magic Sketch Pen. 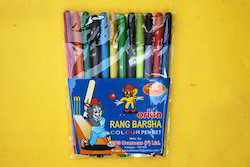 Balaji Services & Trading Co.
Our competency lies in trading an excellent quality range of Kids Sketch Pen. This is a 12 pieces set and is labelled as BALAJI MILO. It also includes a Fluorescent Highlighter. We are engaged in exporting and supplying a complete range of Sketch Pen, which is fabricated by the leading manufacturers using high quality basic components. Our range is widely appreciated for its lightweight, smooth writing and durability. 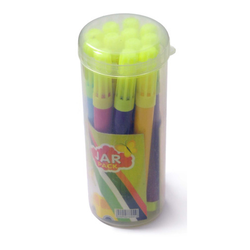 Our clients can easily avail our range of this sketch pen in several shapes, designs and colors at competitive rates. A. W. Faber- Castell (India) Pvt. Ltd.